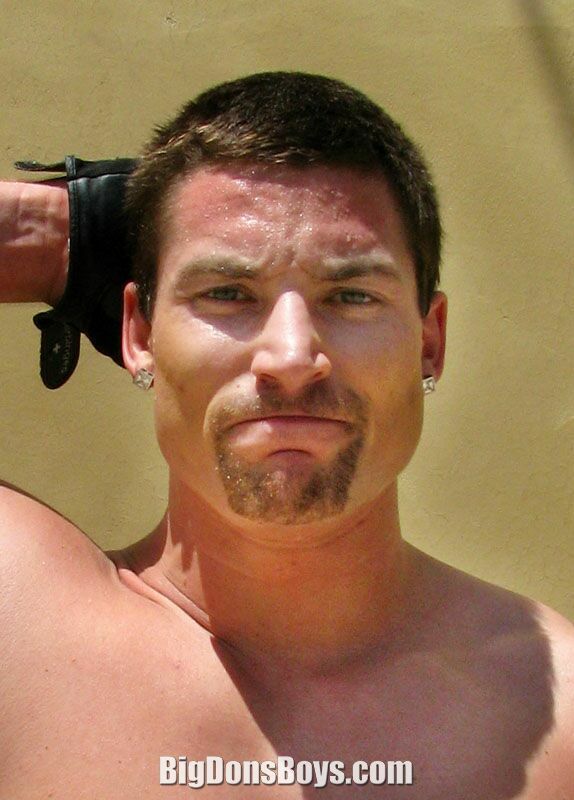 I shot Hunky Hank in summer 2009 as part of my HollywoodMuscles.com bodybuilding DVD series. This study Scandinavian is 6'4" and 250 lbs. in these photos. We shot at a local gym, got thrown out, shot at a pool, got thrown out (no pictures there are kids here!). Then we got thrown out of an office complex. So we just played basketball. Well, he played basketball, I have limp ankles. Hank is a total package. He's an intelligent, charming guy with a handsome face, perfect body and lots of ease in front of the camera. I am usually too busy fighting the technology to tell the talent what to do sometimes. Hank finds cute things to do automatically. BIG timesaver for me. Also he does not complain when birds poop on him during shoots, which they did. Erf. This gorgeous jock is slightly bisexual. But he really prefers Black gals with big booties! All I have is a big booty. Oh woe is me! Sometimes he goes back and forth to Texas where he has friends. Even though he is European he has almost no accent. He sounds almost East Coast American. I shot 6'4" (1.93m) 250 lb. (115kg) bodybuilder Hunky Hank in a West Hollywood park last year working out for my Hollywood Muscles series of videos. I just posted the video to YouTube recently. Hank is a great guy, very friendly and comes up with ideas for shots on his own.